CORVALLIS, Oregon—2010 December 11th—We are excited to announce that a major revision to the REVO 1 is underway. The all new REVO 1 will be faster than ever with a powerful new system inside. We are using Marvell’s ARMADA line of cutting edge embedded processors to attain a greater level of power and efficiency. By popular request the REVO 1 will now come preconfigured to stream video data off-board using the top mounted camera. The redesigned and improved REVO 1 will be available early next year for under $1000! For now you can take a sneak peek at the new exterior look on FLICKR. 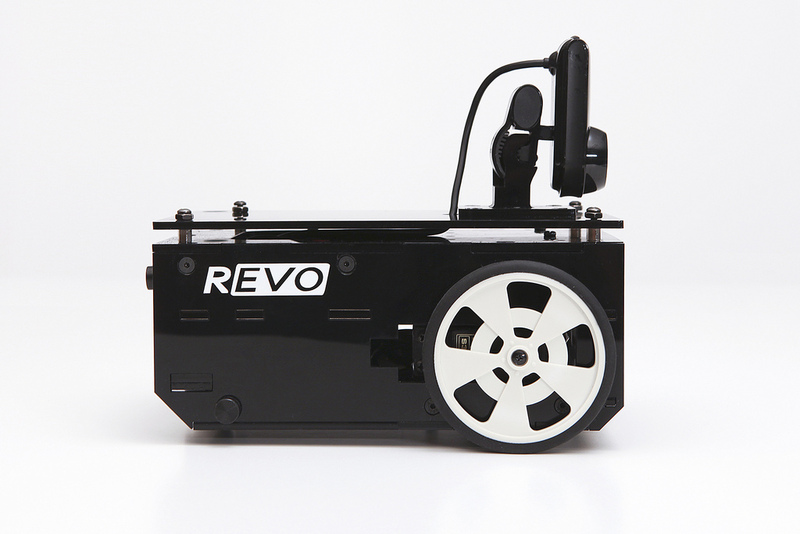 REVO is a trademark of Revolution Robotics, Inc. ARMADA is a trademark of Marvell.